At Stonehaven we look at people as individuals taking into consideration that everyone has led a different life, with different interests, tastes and lifestyle choices. 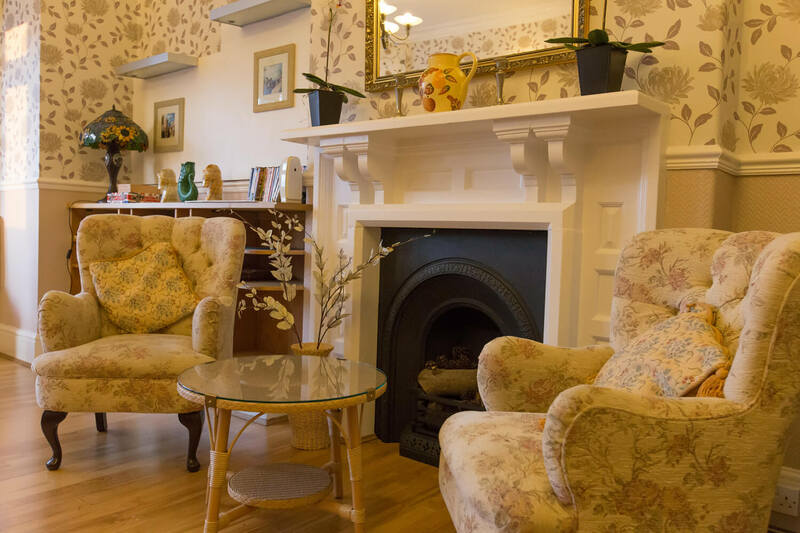 We believe that when you make the move from you own home into a Stonehaven home, your individuality as a person, the things that you enjoy, needn’t change. In fact, we positively encourage our residents to put their own stamp on their new home, by offering you a tailored lifestyle – one that you are happy and most comfortable with. By bringing with you your favourite items of furniture and personal possessions, you can transform you new room into your own space. 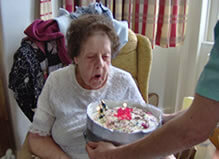 If you enjoy painting, cookery, music, we will ensure that we support you in these hobbies. I lived in Mary Tavy with my husband William, but we were not coping too well any more. We both had health issues and were not getting any younger. 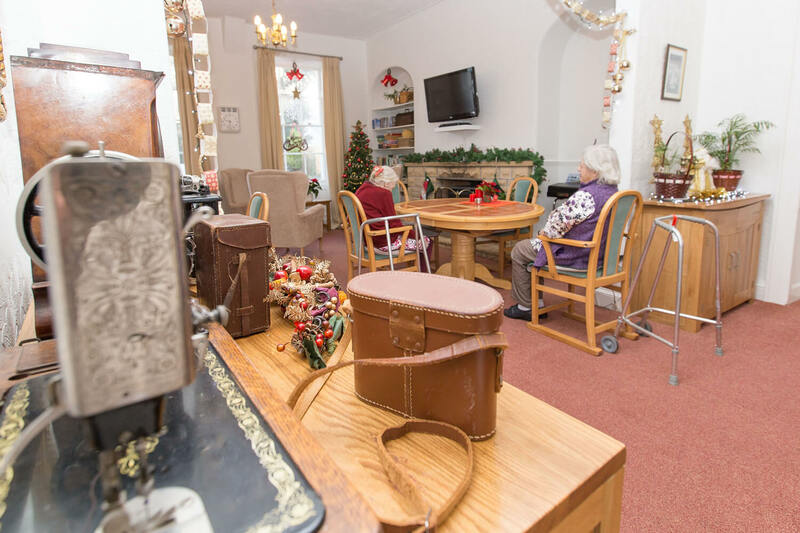 We decided to look at what we could find in a nursing home and with our family members began to look around and find out what we could be offered. William visited Chollacott House and met Elaine (Manager) who talked him through what Chollacott House can offer and showed William around. What Elaine said to William was that we could have two rooms and we could use one as a bedroom and the other as a lounge. I recall William being excited about this and explaining it all to me and how he thought this was a good idea. I agreed to meet Elaine and let her assess us for Chollacott House. Elaine spent the afternoon with us and we talked about our needs, our wishes and how we wanted support. We discussed all the ins and outs of the move and William and I decided after talking it over with our family to give it a go. We moved in on 6th February 2013. Elaine and my family had prepared the rooms for us, using a lot of our own furniture and things that are important to us. When I arrived I was a little hesitant and found it harder to settle in than William, but that’s me and this was a big change for us. But we did settle in and enjoyed our time together, with family and friends encouraged to be just as involved with us as they were at the house. Unfortunately I lost William after a few short months, looking back some people believe he knew it was his time and he wanted to see me settled and then he could go in peace. I did not know after 68 years of married life if I could survive this. My family and the staff and Stonehaven have been wonderful and look at me, I have got through this. I now have just one room but I am surrounded by my own familiar things, I have sky television and my own phone. I see just as many people visiting and taking me out. My family and friends say I look great, and I feel great, I eat well and enjoy my time again, I feel almost back to normal with my brain intact, my life is restored to me and Chollacott House is different it is 100% better that I had thought it would be. This is my home from home.